The latest edition of Early Childhood Matters is now available and features an article written by our sister organisation Innovation Edge’s executive director Sonja Giese on their inaugural Think Future event held in 2017. 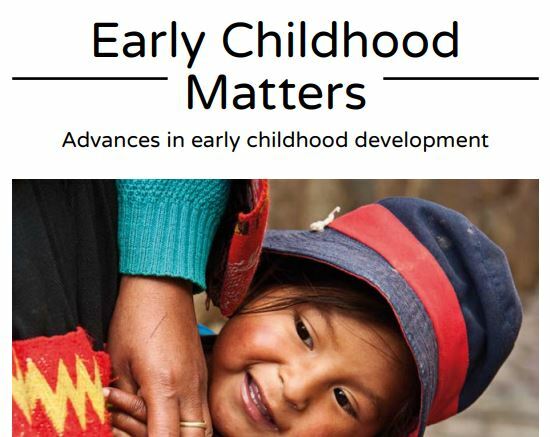 Early Childhood Matters: advances in early childhood development 2018 features 26 articles covering a number of topics including leadership, scaling and innovation. It also features keynote voices from around the world in the form of contributions from President of Colombia Juan Manuel Santos Calderón, the director-general of the World Health Organisation Tedros Adhanom Ghebreyesus, International Rescue Committee President David W. Miliband, as well as United Nations Special Representative Marta Santos Pais. Early Childhood Matters is published annually by the Bernard van Leer Foundation. Click here to read more about the Early Childhood Matters: Advances in early childhood development 2018.